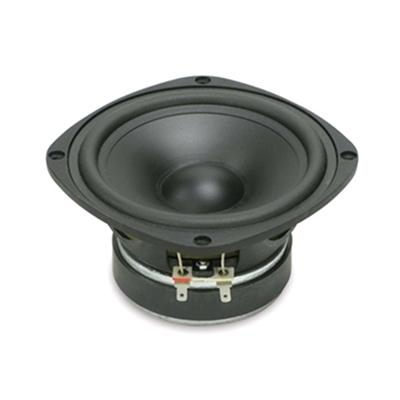 The 5W430 is a 5 inch woofer designed for low frequency reproduction in 2-way systems or multiway systems where high intelligibility is required. The speaker has been specifically designed for compact reflex enclosures. It is also currently used in line array or multiway systems with excellent results. The 25.4 mm ( one inch) voice coil is made from copper wire and assures linearity and consistent power handling. The polypropilene cone and half roll rubber suspension makes the transducer suitable for outdoor use in adverse weather conditions.